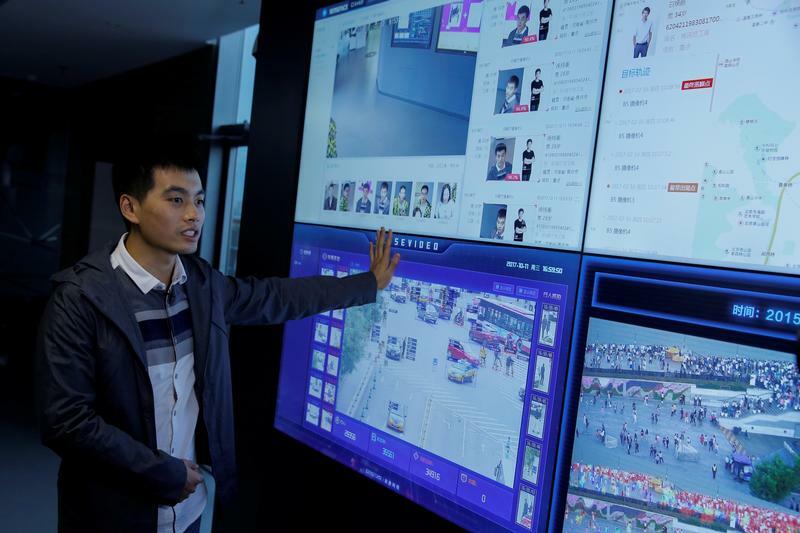 SenseTime Co-Founder Xu Chiheng talks about the surveillance technology of his company as it is running on screens at the SenseTime office in Beijing, China, October 11, 2017. Picture taken October 11, 2017. Chinese facial-recognition startup Megvii has begun preparations for an initial public offering in Hong Kong this year, Refinitiv publication IFR reported on Jan. 15, citing people close to the deal. Goldman Sachs and JPMorgan have started working on the IPO, which could raise up to $1 billion, the report said. Megvii’s clients include Alibaba, Ant Financial, Taiwan’s Foxconn and Lenovo Group, according to the company’s website. Meanwhile, Beijing and Hong Kong-based SenseTime, an artificial-intelligence startup also focused on facial recognition, is beginning preparations to raise about $2 billion in a new round of financing, Bloomberg reported on Jan. 10, citing people with knowledge of the matter. SenseTime raised $620 million in May 2018 at a valuation of more than $4.5 billion.